With winter in full swing, you need to ensure that your home is comfortable and that you’re not over-paying for heating and cooling throughout the year. We explained four common signs that your home may be under-insulated in a previous post, so be sure to read through that information if you haven’t yet read it. In today’s post, we’ll continue to explore that same topic and explain even more of the most common signs that your home could benefit from an insulation installation. Get in touch with Insulation Pros of Colorado through this page to request a free, no-obligation estimate for your home! Insulation generally lasts for 15 to 20 years before it becomes less effective and needs to be replaced. While some homeowners go significantly longer before giving their insulation a second thought, you should plan to have yours evaluated by a professional insulation contractor around year 15, with a plan to replace it by year 20. Insulation Pros of Colorado will help you determine the right time to invest in an insulation installation. While cold drafts and uneven temperatures are uncomfortable, they’re not nearly as troubling as discovering that mice or insects have made your residence their own. The same cracks and crevices through which unwanted visitors are coming into your home are the same ones that are compromising your energy efficiency, and sealing the problematic areas with new insulation will keep your home protected. You also don’t want to take the chance of feces or eggs being left behind, so get in touch with a member of Insulation Pros of Colorado as soon as you discover a pest problem anywhere near your insulation. 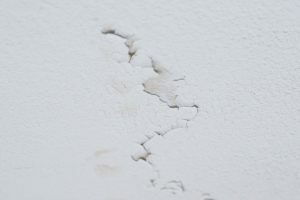 In our previous blog, we mentioned that damp walls are a sign that your home is poorly insulated. In addition to lowering your home’s internal temperature and making your HVAC system work overtime to compensate, long-term exposure to moisture puts your home at risk of mold damage. It doesn’t matter when or where you notice a leak in your home — replace your insulation immediately and check for signs of water damage. As a Colorado homeowner, you know how important it is to ensure that ice and snow don’t remain on your roof for long. Ice dams occur when heat rises through your ceiling, melts some of the snow on your room, and then freezes again as it moves toward the gutter. The end result is heavy blocks of frozen ice that can damage your roof, wreck your gutters, and endanger anyone on the ground. If you notice ice dams on your roof this winter, then give us a call and we’ll work to help you find a solution before the winter ends. Frozen pipes are one every homeowner’s worst nightmares. Your home’s plumbing is largely unseen, which means that a burst can cause thousands of dollars in damage before you notice that something has gone wrong. Well-insulated walls will keep your home’s plumbing protected, no matter how cold the weather gets, but signs of frost and/or completely frozen pipes are a sure sign that you need new insulation right away. 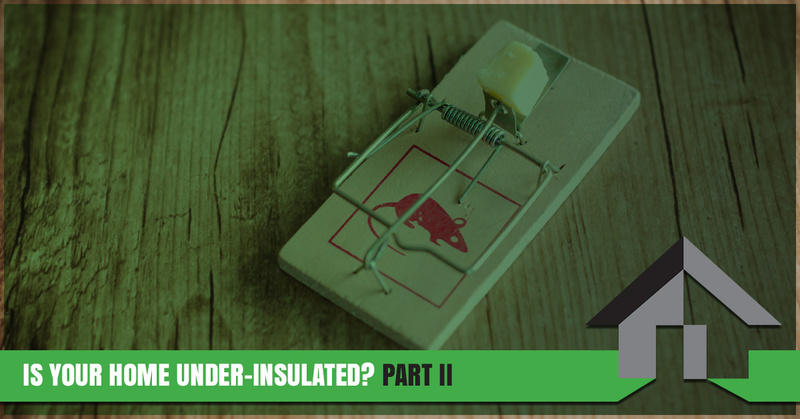 We hope that this series will help you determine if you could benefit from an insulation installation. Stay tuned for future posts, as we’ll continue to provide you with even more helpful resources as the year goes on. Are you ready to improve your home with state-of-the-art insulation at prices you won’t believe? Fill out the form below to request an estimate from our Denver insulation company today!